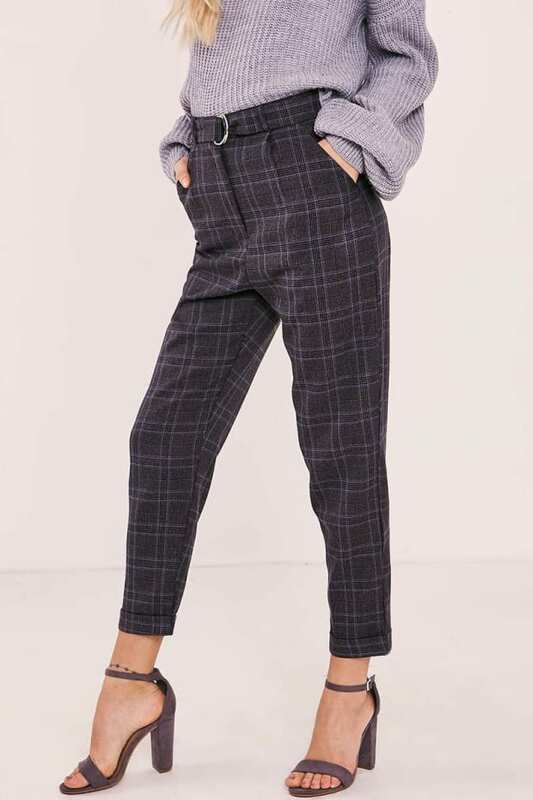 Up your casual game with these tailored trousers! 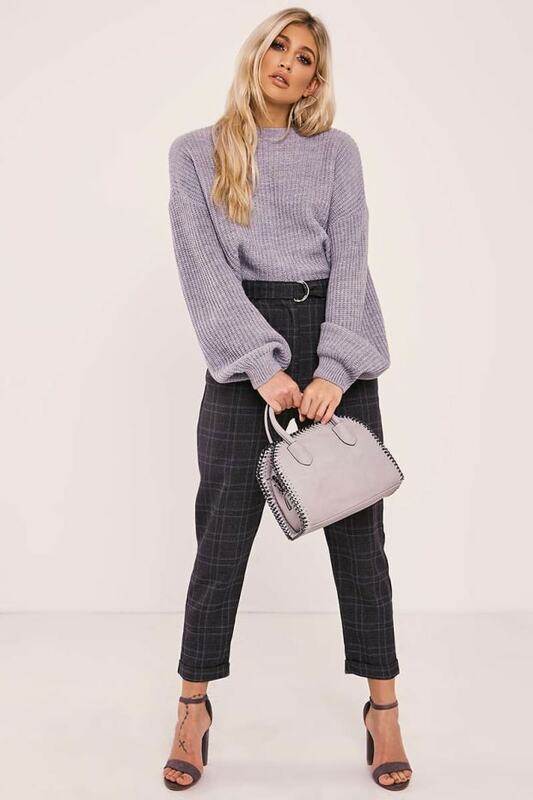 In a grey check print featuring a buckle fastening, whats not to love! Go for a chunky knit and heels for an insane daytime look.